White with pink spots and a soft pink star. Stamens are red. Large flower. What is a flower garden without fragrance? 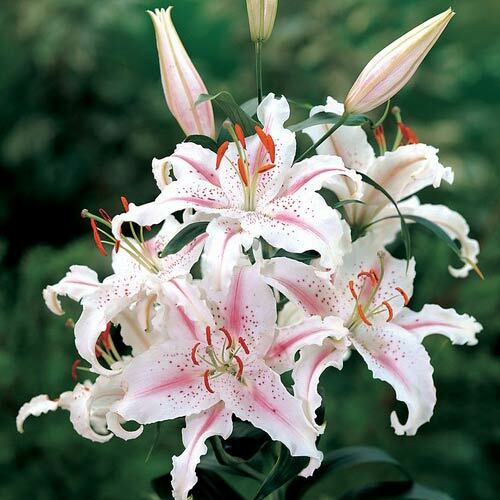 Oriental lilies are some of the most beautiful of all lilies, and their fragrance permeates the garden air. 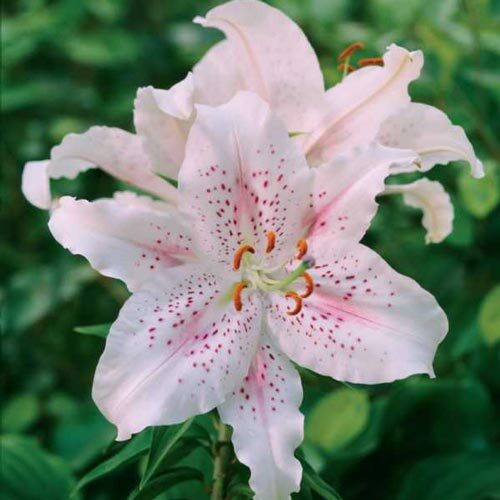 These are the lilies that florists favor for summer bouquets and bridal centerpieces. 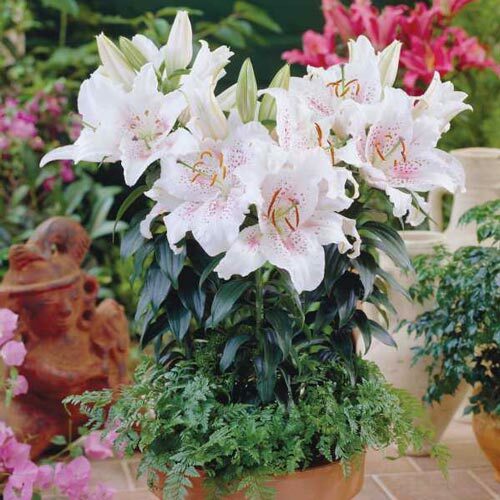 Blooming later in the season than most other lilies, these exotic beauties are truly spectacular in color and flower size. Over the past few years, the demand and interest in Oriental lilies has grown dramatically.